Earlier this year we announced the return of Yamaha’s entry in the Compact / Junior drum kit market; The Manu Katche. New for the 2016 version is an additional tom, making it a full five-piece setup, Lacquer Finishes and all birch shells. The Manu Katche has grown up a bit. While marketed towards Junior Drummers it is fairly certain that the Manu katche while also find it’s place as a portable/compact kit in many adults arsenals. The versatile Bass Drum Riser allows for a low overall setup for children all the way up to regular height and even extra high for the tall folks. This may be the only intermediate level five-piece drum kit suitable for juniors and also maybe the only five piece compact kit for adults. In this Extensive Yamaha Manu Katche Review we examine every aspect and detail of this new offering from Yamaha. We’ll examine the Build Quality, Value, Sound, Tolerances, Configuration and Versatility. Read on. The entire shell pack arrives in a single efficiently packed, large box. A separate, slightly smaller box contains the optional hardware pack. 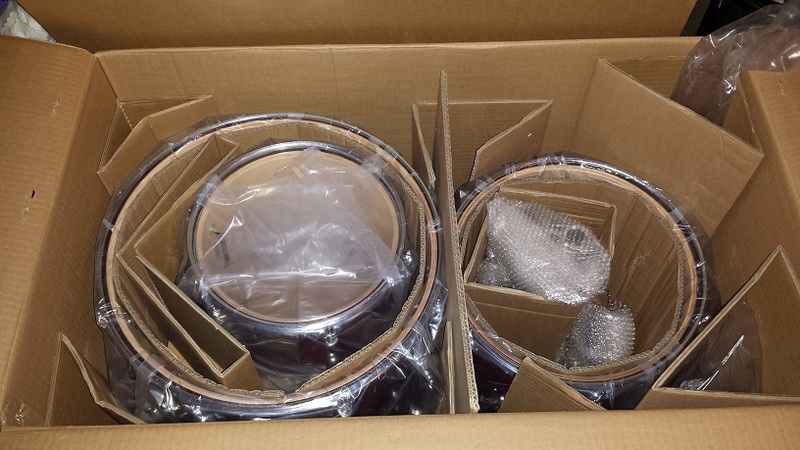 Smaller items are packed inside the bass drum and floor tom necessitating the assembly of heads and hoops on these. A pleasant surprise is the inclusion of multiple detailed instruction sheets. Some might consider this un-necessary, but keep in mind that this drum kit is partially geared towards junior drummers who often will not have ever owned or assembled a drum kit before. Just look at all the ads on Craigslist with the bass drum backwards and instructions start to make good sense. 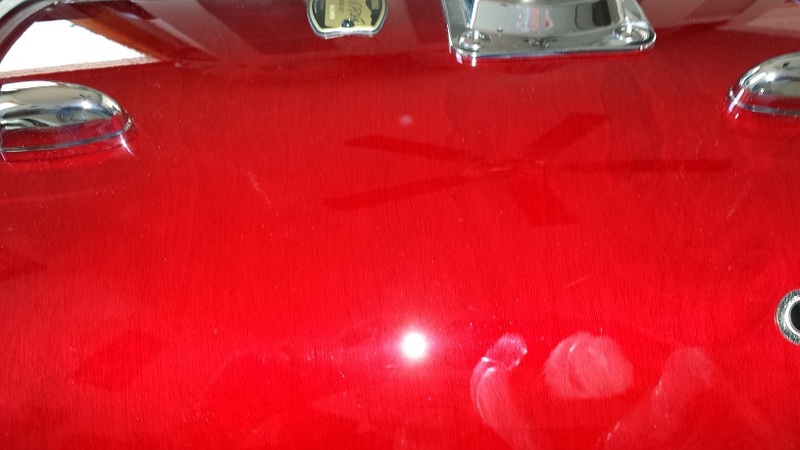 In real life, the lacquer finish is immensely more impressive than the pictures illustrate. 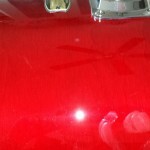 The reviewed Cranberry Red is deep, gleaming and completely flawless. The subtle wood grain under the red stain and clear coat gives a classy impression which is further enhanced with the gold/black badges. 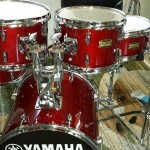 Lugs and brackets are familiar from Yamaha’s other intermediate drum kits. As expected from Yamaha, the chrome plating is perfect as are all metal surfaces and brackets are all sturdy and well made. A small detail I like with Yamaha’s receivers are the multiple notches for the memory locks, allowing for rotating of the locks so the fastener is always accessible. Kit assembly is straight forward for anyone that’s ever put together a compact kit with a 16″ bass drum before. For the rest of us, there are as mentioned before, instructions. We rigged it up at a suitable height for an adult, adjusting the riser so the center of the bass drum head is roughly 12″ from the floor. 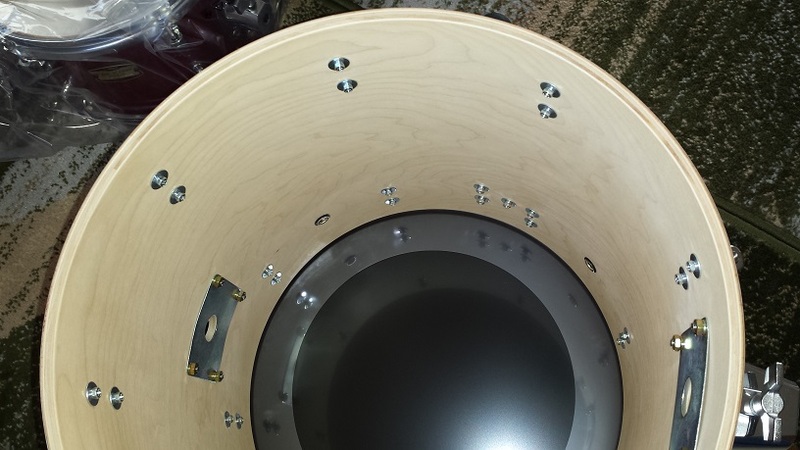 Before setting up the kit we took the time to inspect all the shell interiors and measure tolerances for each drum. We cross-measure each shell to determine “roundness”, followed by gauging bearing edge “Flatness” on a granite slab and lastly inspect the bearing edge surfaces. 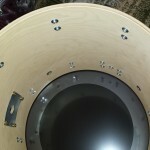 Bearing edge “flatness” is well within the expected range for intermediate drums, ranging from perfectly flat to just under 1 mm “out of flat”. Shell roundness also falls well within expectations with the largest discrepancy measured falling under 2 mm. (Bass drum). The rack toms had no measurable “out of roundness” and the snare and floor tom where both under 1 mm. Throughout the kit, the bearing edge profile is flawless and sanded smooth, although not as silky-smooth as I would have liked. Interior surfaces are all perfect as well. Smooth and 100% uniform, but not sanded butter-soft. There is no sealer which is also not expected on an intermediate kit. Metal parts are also subject to quality inspection. Yamaha have a solid reputation for their metal parts and the Manu Katche is no exception. Everything functions without glitches and the finish is perfect throughout. Yamaha also abandoned the drum-key tensioners they used for many years on the floor tom leg brackets in favour of wing-bolts. Overall Quality and Tolerances are far better than average, as we have come to expect from Yamaha. One of the most challenging aspects of writing one of these reviews is gauging the value. The easiest way to do so is by comparison with other similar products. While this determines comparative value, in the end it’s up to you if it’s a sensible use of your hard-earned funds. In this case a comparison is extra challenging as there simply isn’t another 5-piece intermediate level compact kit like this on the market. Sonor and Tama both have three-piece offerings with 16″ bass drums. 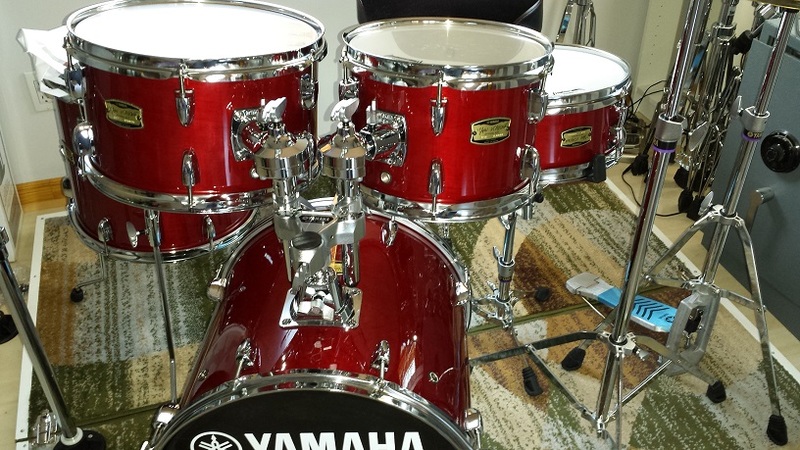 These range between $699 – $1099 (Street), but with only one rack tom and no snare drum. Of course, the $999 pricetag (street) for the Manu Katche is indeed good value in comparison. Of course this section is largely subjective. I’ll do my best to describe the sound characteristics as objectively as possible, but it is unavoidable that they will be my personal observations. As far as observations go, the first one is how forgiving these drums are in regards to tuning. This was first noticed when the initial rough tuning yielded fairly clean and not entirely unpleasant tones. Of course this discovery prompted immediate experiments with intentional poor tunings. Same thing. Even with the heads at unmatched intervals and lugs nowhere near “cleared” the drums sounded “fine”. Different, but fully playable. Interesting. getting back to the purpose of this chapter, the sound characteristics. My first observation is how warm these drums sound. My other birch kits are very typical of the wood species. Neutral, sometimes bordering on “cold” or “harsh” and requiring some degree of tweaking if a “warmer” tone is the goal. The Manu Katches aren’t like that at all. They have a natural warmth to them that brings the mind more towards maple than birch. On the flip side, the crispness and clarity one expects from birch are both present. 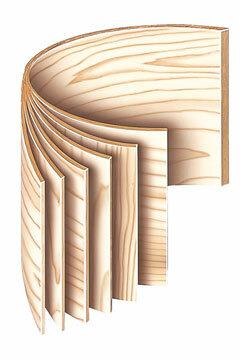 Overall a very nice combination of the best of birch with a hint of maple warmth. This is present throughout the kit including the snare drum. I like it! I already mentioned how forgiving the drums are to sloppy tuning. They are also forgiving in tuning range, yielding clear, clean notes all the way from just past floppy and all the way up until the head tension chokes the drum. This makes them not only fun to experiment with but also quite versatile for various music styles. Of course they do have their distinct sweet spots as well. In my ears they sound best just about a quarter of the way up from the lowest acceptable tuning. This is certainly not a bad thing for smaller size drums as it is the most challenging area to address without having the added volume of “regular” sized shells. Often the snare drum is the weakest component of a pre-packaged drum kit. in this case the snare drum is quite useful and very versatile, although perhaps just a tad “too neutral”. It has all the range and tone one would need, but no particular character of it’s own. It adequately meets most requirements but doesn’t excel in any particular area. 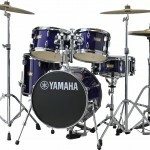 In true Yamaha spirit the bass drum is 15″ deep. I don’t know if this is part of a secret formula, co-incidence or just a way to differentiate, but it sounds very nice for a 16″ bass drum. I like it best tuned as low as it will go to mimic a larger shell, something it does very well, but it also excels tuned higher for eclectic rhythms or jazz. never did I experience a vision of “Floor Tom toppled over on it’s side”. It sounds like a bass drum and is receptive to various tweaks. 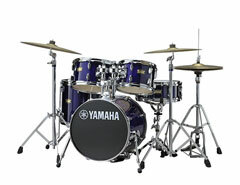 Over the last week of playing the subject of this Extensive Yamaha Manu Katche Review, I’ve grown very fond of this kit. A compact/portable/small size drum kit is often an additional kit for the purpose of smaller gigs, tight spaces, limited transportation options or as a small practice kit. The Manu Katche however could easily be my main drum kit. I really like that there now is an intermediate option for small children. Up until now until a child grows tall enough to reach a regular drum kit, there haven’t been any five piece kits other than very entry level or outright toys. An added bonus is that the Manu Katche has the ability to adjust all the way up to even adults of tall stature. This is a very well rounded drum kit by any standard. The neutral, crisp and clean sound makes it versatile enough to suit just about any style and the slight added warmness gives it personality. 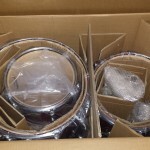 Build quality of both drums and hardware is consistently high. Even with regular abuse I believe these drums will stand up to many years of learning, jamming, practising and gigging. 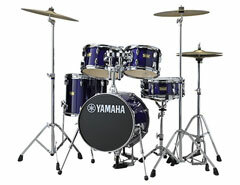 The optional hardware kit is exactly what we expect from Yamaha’s entry level line. Single-braced, no frills functionality with sturdy construction and durable, simple design. It is the same time-tested hardware we have seen for a decade or more with Stage Customs, YDs, Rydeens and a few of Yamaha’s other lines. The same goes for lugs, brackets and other metal parts. 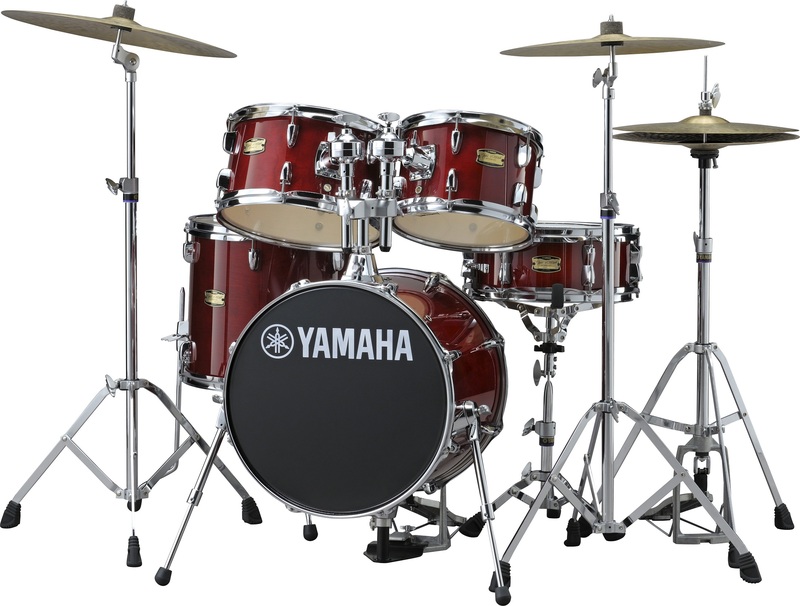 The Yamaha Manu Katche deserves serious consideration for anyone in the market for a 16″ bass drum kit and might be the only choice for an intermediate five-piece of smaller sizes. Great value for money, Beautiful finish, High Quality and most importantly; very very pleasant sounding drums! Street Price: CAD$ 999.00 (Canadian) + $350 for the optional hardware pack if required. “This kit features a two-tom layout, based on Manu Katché’s desire to create a kit for use in educational settings where scores with two-tom notation are standard. Although a small-diameter kit, this configuration is useful for drummers all over the world, allowing them to play performances that conform to the common standard. In this Yamaha Manu Katche Review, we inspect and scrutinize every aspect of the new 2016 all- birch, version of Yamaha's Compact / Junior Drum Kit.